Have a personal favorite photograph you would like to use for your ID card? 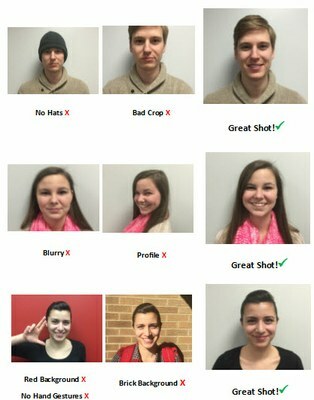 As an option to you, you can submit a photo prior to attending orientation. Please review the image guidelines shown prior to uploading your photo. Middle Name Preference Enter middle name if preferred. Employee ID Number This number is provided to you in the welcome email from Human Resources. Upload Photo Please make sure to review the photo guidelines. The photo must be a recent, color, head and shoulder passport style photo. Face must be clearly visible and facing forward - no profile shots. No sunglasses, baseball-style caps, or novelty headgear in your photo. Headpieces worn for religious purposes are acceptable. Employee must be the only person in the picture.